Grenoble Foot 38 and Le Havre face at Stade des Alpes, in a match for the 20th round of the Ligue 2. In the last head‑to‑head for this edition of the league, played on 03‑08‑2018, these teams have tied (1‑1). The home team is currently in the 7th position of the league, with 31 points won, after 9 wins, 4 draws and 6 losses. In the penultimate match, they lost in a home match against Paris, by (0‑1). In the last match, they lost in an away match against Auxerre, by (4‑0). 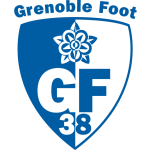 For the league, Grenoble Foot 38 won 17 points out of 30 possible points, after 5 wins, 2 draws and 3 losses in the last 10 home matches. The most recurrent result at half‑time in their home league matches was the 0‑0 (4 out of 10 matches). 8 of their last 10 matches for this competition have ended with Under 2,5 goals, so there is a tendency for few goals in their home matches. In 19 matches for this competition, they have conceded the first goal 8 times and have only turned the score around in 1. there are 2 periods that stand out in the last 10 home matches for this competition: they have suffered 3 of their 8 goals between minutes (61'‑75') and 3 of their 8 goals between (31'‑45'). The balance at the top of the table is something very big and Grenoble is like that, so much so that by wanting access it is clear that he does not want to lose points in the home. In this way, it should show a good football, with attitude and determination, therefore the probability of winning increases a lot. During the ninety minutes he will need to show what he has the best, knowing how to defend himself, work the ball and be efficient with his men in front, as well as the three points tend to come. In this match Fabien Boyer will be absent of the team by being in the medical department. Confirmed Lineup: P. Camara, J. Mombris, M. Spano, E. Vandenabeele, P. Gibaud, R. Sanusi, A. Elogo, I. Coulibaly, Y. M'Changama, F. Sotoca, M. Chergui. The away team is currently in the 10th position of the league, with 27 points won, after 7 wins, 6 draws and 5 losses. In the penultimate match, they won in a home match against Châteauroux, by (2‑1). In the last match, they tied in an away match against Gazélec Ajaccio, by (1‑1). In their last match, for the Coupe de la Ligue, they got an away loss against Bordeaux by (1‑0). 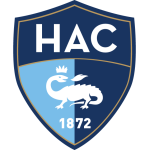 In the last 9 away league matches Le Havre has a record of 3 wins, 2 draws and 4 losses, so they have won 11 points out of 27 possible. In their away league matches the most frequent result at half‑time was the 0‑0 (4 out of 9 matches). Defensive consistency hasn’t been their best feature, as they have conceded goals in 9 of the last 10 matches, but their offense has scored consistently, as they have scored goals in 8 of the last 10 matches for this competition. In their away matches there is a tendency for few goals, since 8 of the last 9 matches for this competition have ended with Under 2,5 goals. In 18 matches for this competition, they have conceded the first goal 5 times and have only turned the score around in 1. At least so far Le Havre has shown a performance still inconsistent, unable to stay in the competition, so much so that the middle zone of the leaderboard is his place. Even so, he's not far from the playoffs zone and so he's focused on getting in that place, after all that would be great for him. It is evident that to achieve what he desires is necessary good results as often as possible and in this round is no different, so much so that he does not think about stumbling. In this match will field the best players that are available. Confirmed Lineup: Y. Thuram, B. Bese, F. Mayembo, Y. Coulibaly, D. Bain, A. Bonnet, R. Basque, J. Fontaine, V. Lekhal, T. Kadewere, E. Assifuah. In this round, the team of Grenoble has the advantage of playing in the home, but will have a difficult game ahead, and for this fact will need to be very attentive throughout the 90 minutes. Le Havre is trying harder for their season in the championship but for that to happen they will have to improve their performance within the four lines. This should be a very study game on the part of the teams, soon we can have a match for few goals. Our bet will be that there will be no more than 2.5 goals until the end of the duel.